As befits a humour column, we will start with a joke: RCB's performance. General cricket followers have termed RCB's show, so far this season, as "very pathetic." This seems uncharitable. 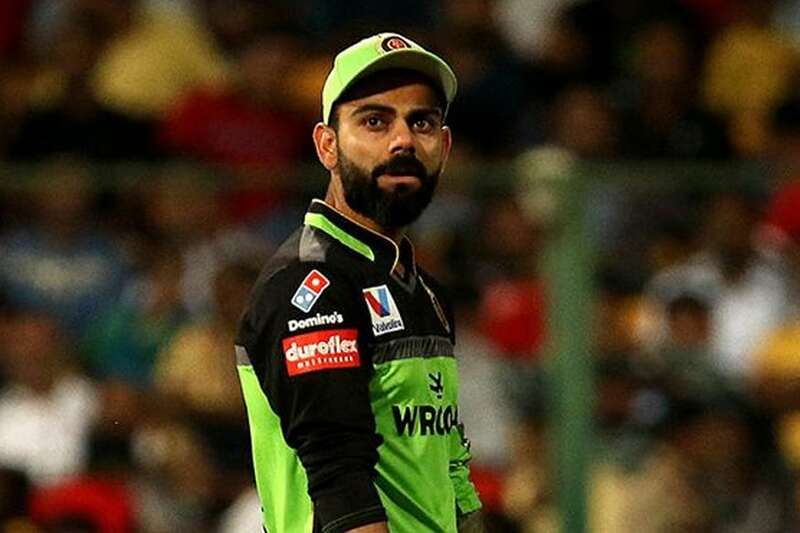 For, cricketers, who understand that these things tend to happen to sports teams, are much more empathetic, and describe RCB as merely being "pathetic." This season, batting first, RCB has scored the lowest score in an innings so far. Bowling first, it has conceded the highest score in an innings. It has also failed to defend a 200+ target. It has dropped the most number of catches so far. Most importantly, its players have appeared in the most cringe-worthy ads. So, all things considered, everything has gone wrong, or to be precise, wrogn, for RCB. 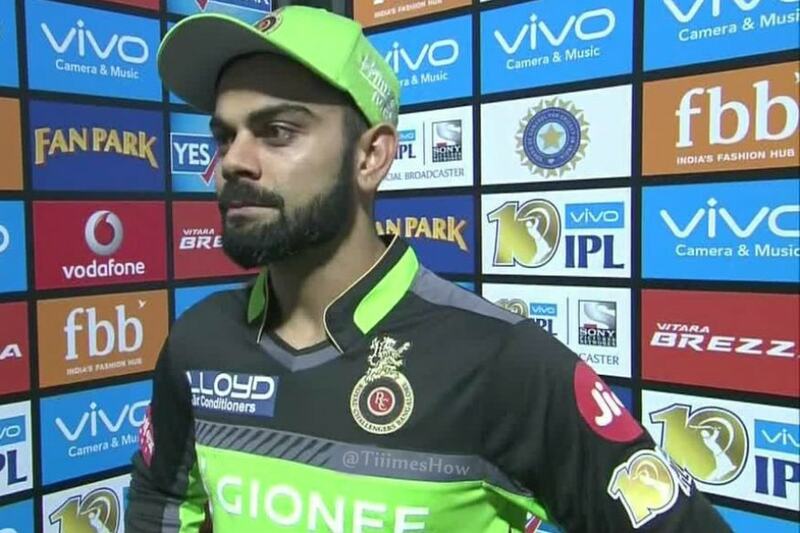 To be sure, it has been a season to forget --- to recall such a poor performance from the RCB you have to jog your memory all the way back to, well, last year when the team was equally clueless. In general, barring a couple of years, RCB has been mostly underperforming in the IPL. The Supreme Court, if it has any sense of fairness, should, suo motu, initiate contempt proceedings on the guy who first thought up the line: Ee sala cup namde. Seriously, that guy who came up with this line at least has to be caught and incarcerated because whatever he has been smoking cannot be legal in any country. Anyway, how can a team that boasts the likes of Virat Kohli, AB de Villiers, Moeen Ali, Shimron Hetmyer, Shivam Dubey, Yuzvendra Chahal, and is coached by Gary Kirsten, fail to click? To find an answer to this question, we travelled all the way to the RCB headquarters Bengaluru, and guess what, we had to figure out the answer for another equally important question: How does such a beautiful city have such horrible traffic? We got stuck by the traffic snarl triggered by the notorious Silk Board Junction traffic, and the thing to note is that we were not even going in the direction of Silk Board Junction. It is that worse. Normal story on RCB: You perhaps begin with quotes from Gary Kirsten. Longform story on RCB: You have to start with quotes from the doctor who oversaw Kirsten's birth. With no such quotes available, the Editor insisted that we should at least get an interview of Virat Kohli. But the problem is reaching your modern-day superstar cricketers is more difficult than, say, crossing the Silk Board junction on Monday morning. In fact, your modern-day cricketer stars are surrounded by more bouncers than Michael Holding bowled in his entire career. But the good news is you don't need to interview your superstars to know what they say. Today's sportspersons are capable of speaking for half-an-hour without actually conveying even one single sentence of any substance. That is, they will use — follow us closely here — a lot of meaningless words. In other words, they will speak like your typical MBA types. What do you think is the reason for RCB's poor performance? "Well, to be brutally honest, we have not been able to compete as a team. Out there in the park, it is crucial that we need to perform as a team. It is not rocket science. Having one or two good phases in the contest is not enough. You have to win the crux situations." Why do you think your side is not performing at its optimum? "It is simple. Any team, to be successful, needs to put up runs on the board or get wickets or stop the opposition from scoring. On the field, you don't have to re-invent the wheel. It is not complicated. More often than not it is the team that does these things well for a consistent period of time that succeeds. Our team unfortunately has not been able to do this season. But these things do happen on a cricket field. The thing is to learn from these lows and move on." RCB, despite having enormous talent in its ranks, has not been able to produce results that its fans would have liked. What is holding the team back? "You are right about talent. But as they say, it is not important to just have talent alone. What do you do with the talent is the important thing. To be fair, our boys are trying their best. Sometimes you need to have the rub of the green on your side. We have not been lucky on that count. We have not helped our cause by putting down catches at crucial times, and as you will understand, these things matter in a long tournament like the IPL." Your death bowling and batting at death overs have proven to be inadequate. How do you see this? "You can't beat around the bush. At the end of the day, it comes down to executing your plans. Executing your plans over a period of time is the key. Our bowlers have been either too full or too short, and in batting, we have not got the momentum going. Losing wickets in a bunch has also not helped matters. It is a combination of factors. But Gary (coach Kirsten) and the support staff are putting in the efforts too. Full credit to them. We all know we are just one good performance away from turning the corner. We have to bide our time." What are the positives you can take from all this? "I'll confess that there are indeed quite a few things that we can feel good about. But the first one, of course, is the realisation that when a reporter asks this question, it usually is the last question in the interaction."